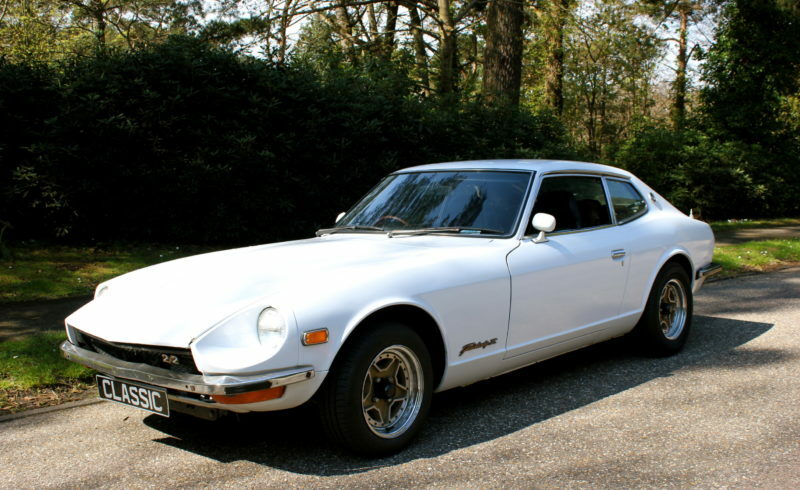 You are looking at a Datsun Fairlady Z, Also Known as a 260Z for UK Spec cars. This car has lend an interesting life, It was Built in 1975 in Japan for the Japanese Domestic Market Making it a Right hand drive. It was bought when it was around 5 years old by a classic car collector in Canada were it spent around 20 years in a lock up garage. Apparently he didn’t even use a full tank of fuel in it in his entire ownership!! This has the very rare 2.0l engine!! The car does not have any rust on it what so ever, all the panels are very straight and it has never been welded in its life!! We discovered this car in Canada and went about importing it to the UK, It was in such a far out place in the back end of Canada it was easier and more cost effective to pick up the car personally. My friend and I drove this car 2,000 miles from the middle of Canada to San Franciso in California where it was shipped back to the UK. It did not miss a beat!! Completely reliable as you would expect from a Datsun. Like most classic cars it has been painted in its life and the paint is showing signs of wearing. The interior is also showing signs of wearing. The dash has some cracks in it and the seats could do with being reupholstered. All in all a real head turner with a truly interesting history. Very convenient being a 4 seater. The Datsun 260Z which is the UK equivalent was featured in the classic car weekly’s top 10 great buys of 2014!! There can’t be many left in this original condition! !